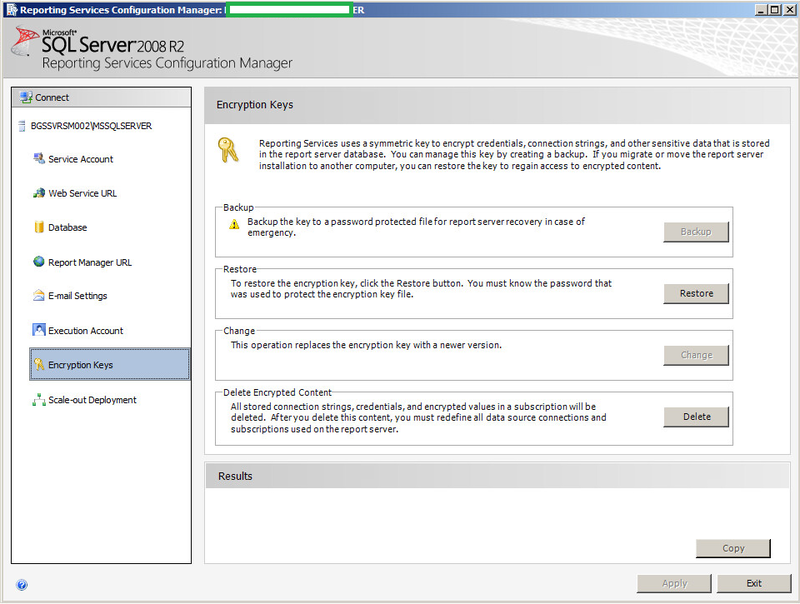 I have been building out a full Forefront Identity Manager 2010 R2 SP1 solution including the optional component of Reporting and Auditing Services. The components of Reporting and Auditing Services for FIM 2010 R2 SP1 are System Centre Service Manager 2010 (SCSM 2010) and SQL Server Reporting Services. 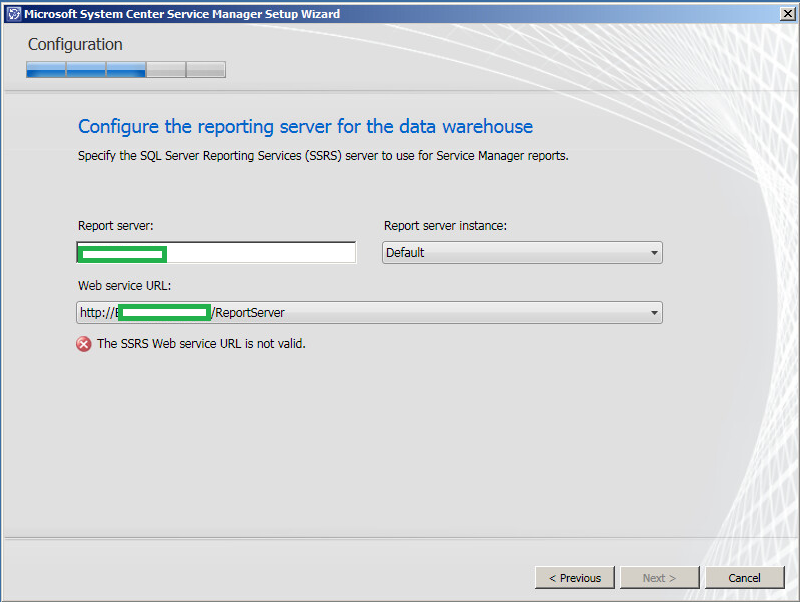 I was in the middle of installing the System Centre Service Manager Data warehouse component of SCSM 2010 and the installation was stopped when I was asked to "Configure the Reporting Server for the Data Warehouse", I pointed to the SQL Reporting Service Server and it returned the error "The SSRS Web Services URL is not valid." this stopped me from continuing. For testing I tried to open one of the preconfigure Reporting Services websites, when I did this the website was not operational with the error SQL Reporting Service "The report server installation is not initialized (rsReportServerNotActivated). 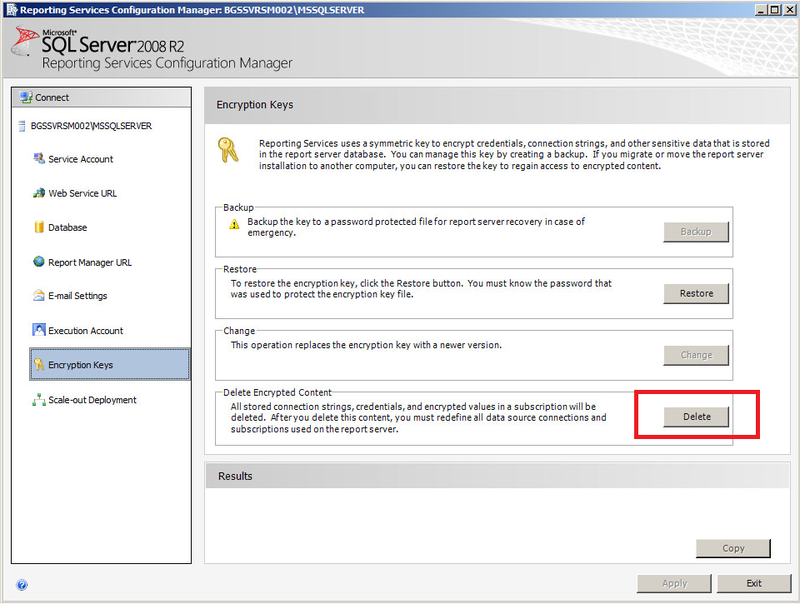 The solution in this case was to click on the Encryption Keys page and under Delete Encryption Content us the delete key to remove the encryption files. You will be asked to confirm you want to delete the encrypted content. After doing that I returned to the website and did a refresh the website was then functioning. When I returned to the Server Manager interface and refreshed that, the error was also resolved and I could continue with the install.